Pipe, next to Pollok Beach, is probably the most popular surf spot in Port Elizabeth. 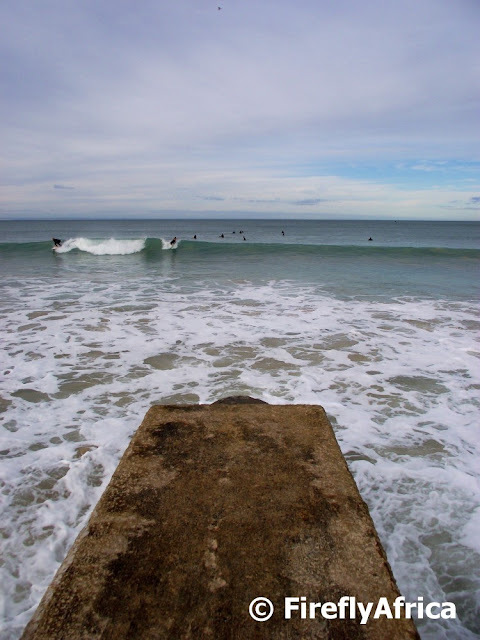 It wasn't named because the there is a barrel that you can ride like a pipe (because there isn't), but because of a storm water pipe that runs into the sea right in front of the break. Pipe is probably PE's most consistent surf spot and you can be sure to always find a couple of okes out there on any given day. After inspecting the flood damage under the Humewood Bridge I took a walk up Happy Valley to see what the stream looks like. The Shark River is still running strong but has settled back down to just about normal. 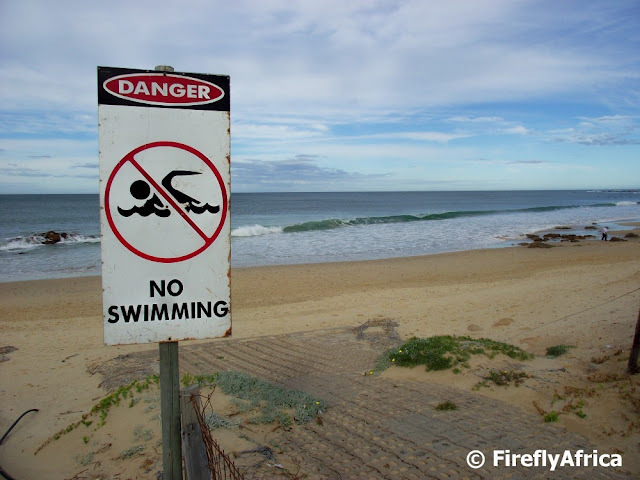 Port Elizabeth is experiencing its wettest non-flood year on record (the second wettest of all time only after the 1968 floods) and we've still got another two months to go till the end of the year. Looking at all the flooding we've had they can just as well declare this year a flood year as well, but that's not my call. With the huge rains we had a week or so ago even the docile Shark River that flows through Happy Valley came down in flood. And flood it did, bursting its banks, rushing down the pathway and stairs before washing a ditch about a meter and a half deep and four meters wide under the Humewood bridge on its way to the sea. Hectic stuff. We attended the christening of the baby of friends of ours at the St Mark's Chapel in Framesby North this morning. 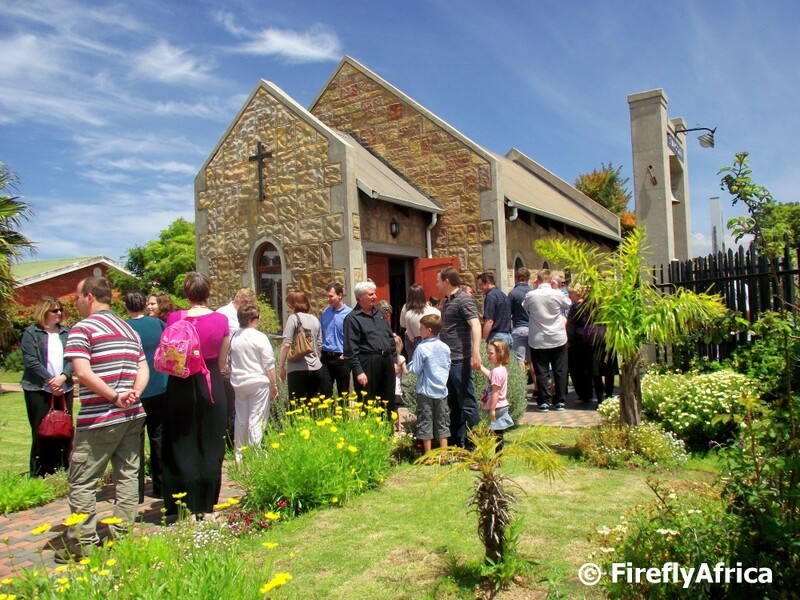 St Marks Congregational Church is quite a big and popular church with christenings taking place in the chapel after the end of the church services and not in the church during the services. Today's post follows on yesterday's one of the sheep head smileys. It shows the chef, cook, dude in overalls pants smoking a cigarette busy burning hair off the sheep head with a piece of hot metal. 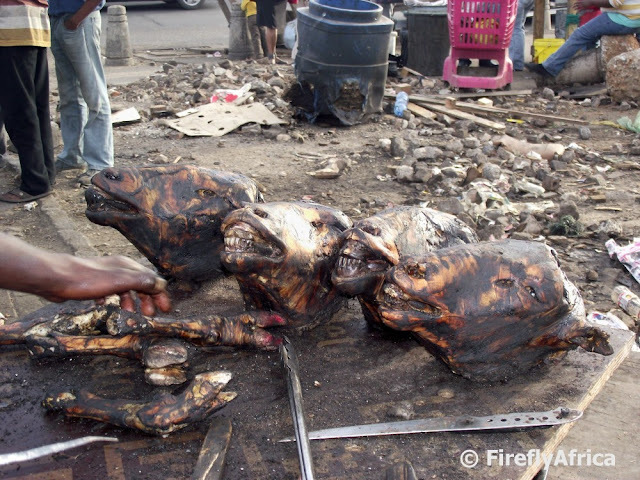 Believe it or not, but sheep heads, known as smileys, is a township delicacy. The heads are thrown in the fire where all the hair are burned off. 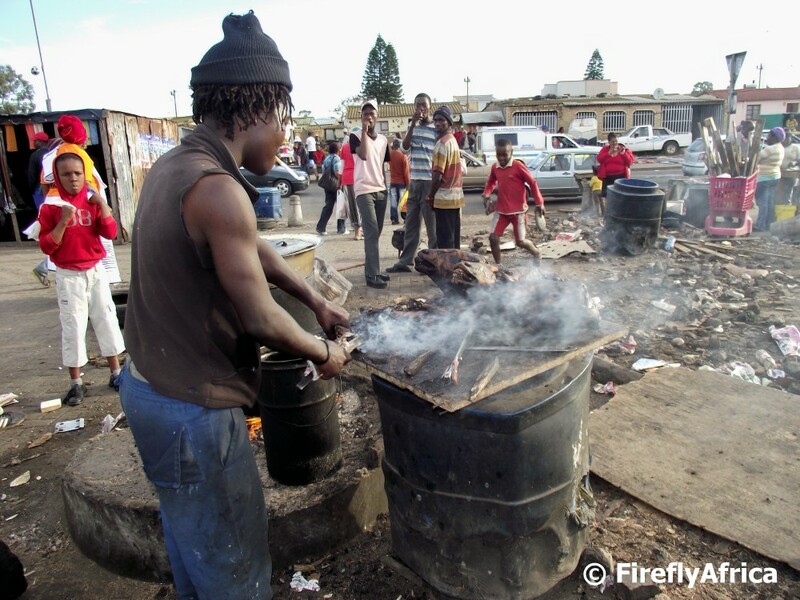 The "cook" then uses white hot irons and blades that are pushed into the fire to burn and cut off the remaining hair and unwanted parts. There after the heads get split open with an axe, all the unwanted inside bits cleaned and then get cooked. The reason for the name smiley is the fact that after the heads come out the fire the lips roll back and the teeth becomes visible, making it look like the head is smiling. 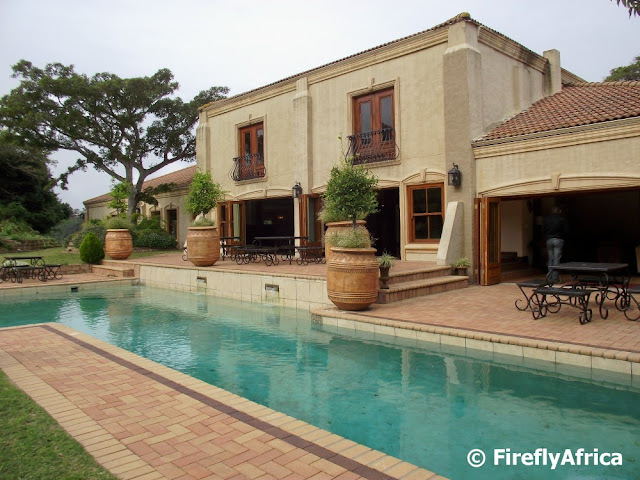 Not everybody's cup of tea I know, but very much sought after and in the township. We took the Kidz and the Worse (our dachshunds) for a walk on the first section of the Sacramento Trail a couple of weekends ago. 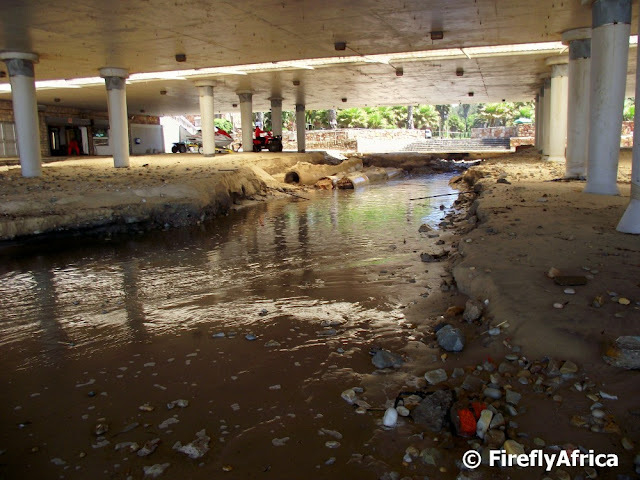 This little gully is just past the Sacramento monument just as you pass into the nature reserve. 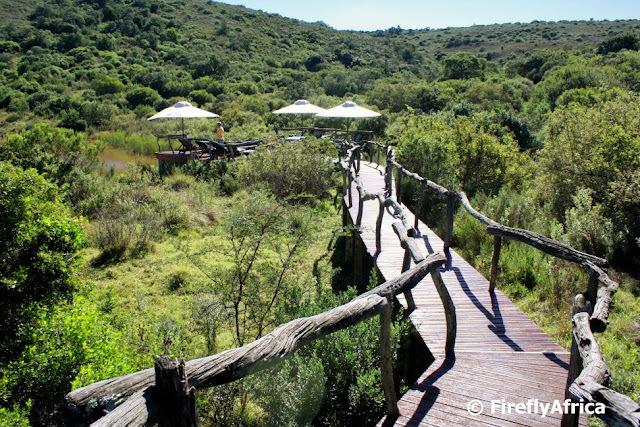 Lake de la Vie next to the lake at Lake Farm (hence the name) is one of Port Elizabeth's premier wedding and function venues. 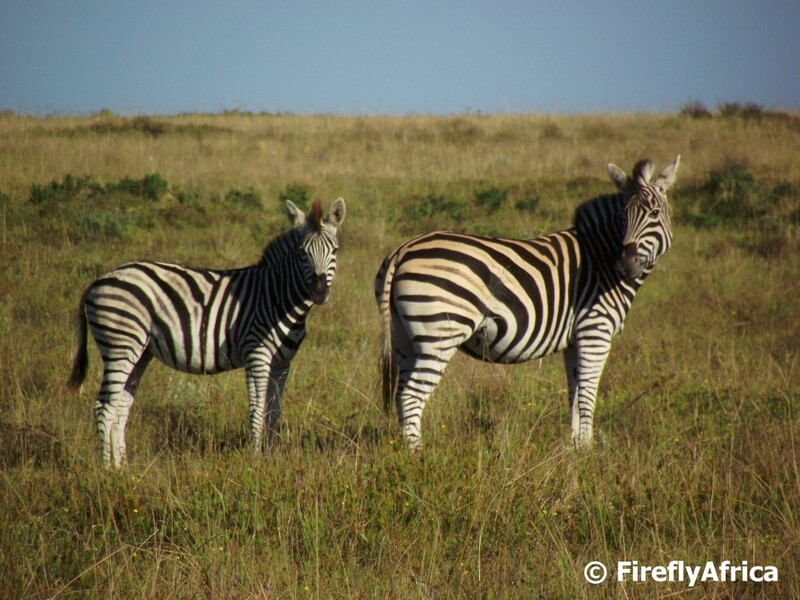 The place is truly stunning and what makes it even better is the fact that its located on the exclusive 1000 hectares Royalston Private Wildlife Reserve and Residential Estate. Truly a stunning place for a romantic wedding. 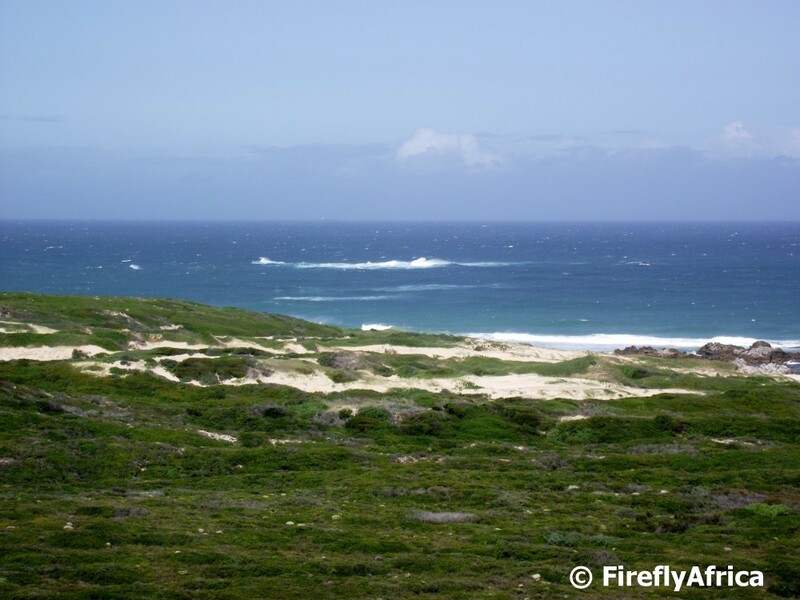 Standing on top of the sand dunes at Colchester and looking towards the ocean you will spot what looks like oases. (One oasis, many oases. Something I didn't know). But this isn't a desert so its not oases. Although its kinda is. Fresh water falls on the sand dunes in the form of rain (duh!). 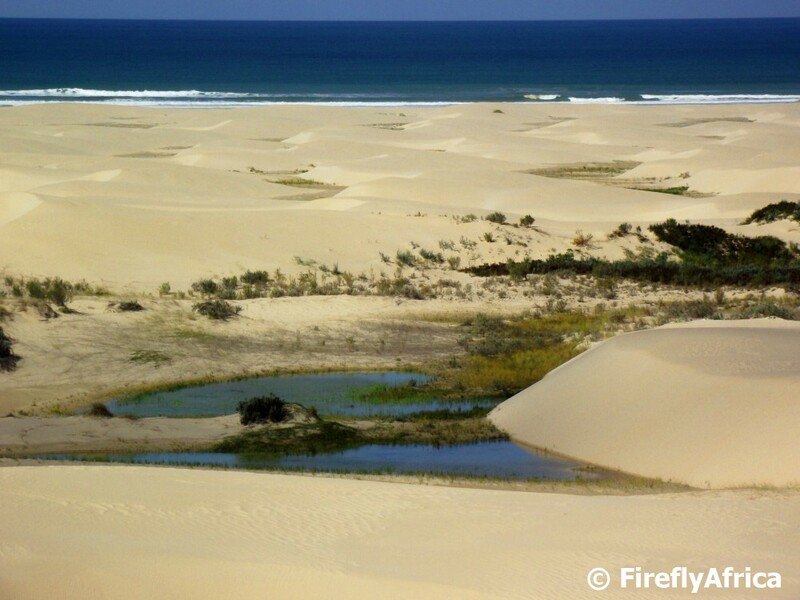 The fresh water then sinks away and appears again in low lying areas between the sand dunes. 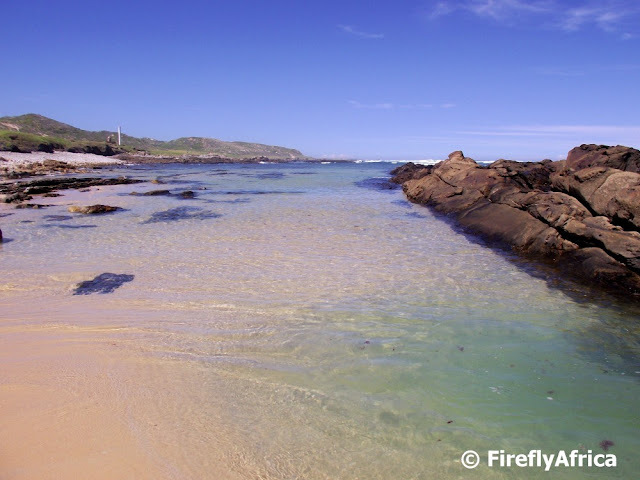 In these low lying areas you will find these pools of fresh water surrounded by vegetation. In some places the fresh water springs are clearly visible bubbling out from under the sand. 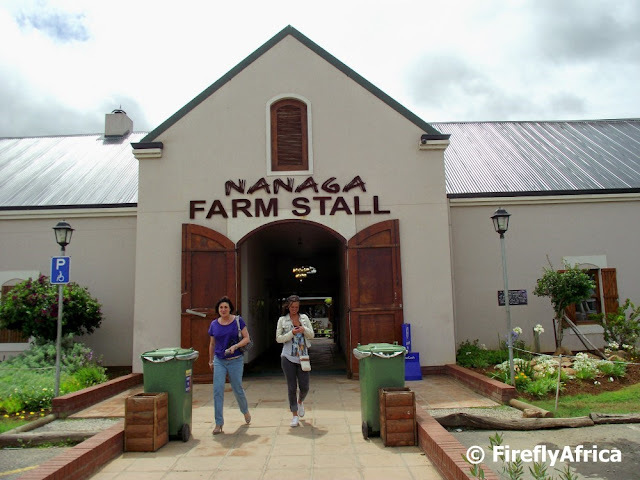 Today's post is the fourth and last in the mini series on Nanaga Farm Stall. The sole purpose of it is to show that Nanaga is more than just pies and roosterkoek. Amongst others they also have a fantastic selection of jams on sale. 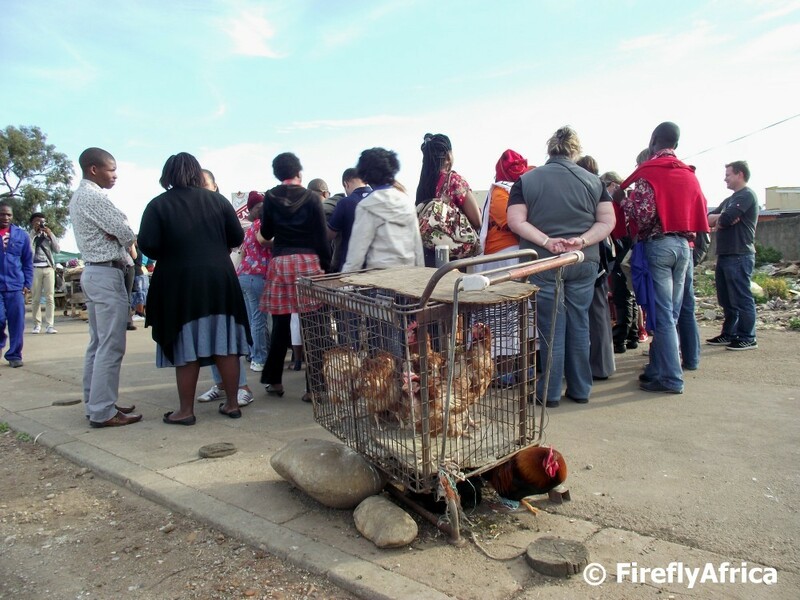 The Nanaga Farm Stall isn't just well known for their pies and fresh pineapple juice, but also for their roosterkoek. 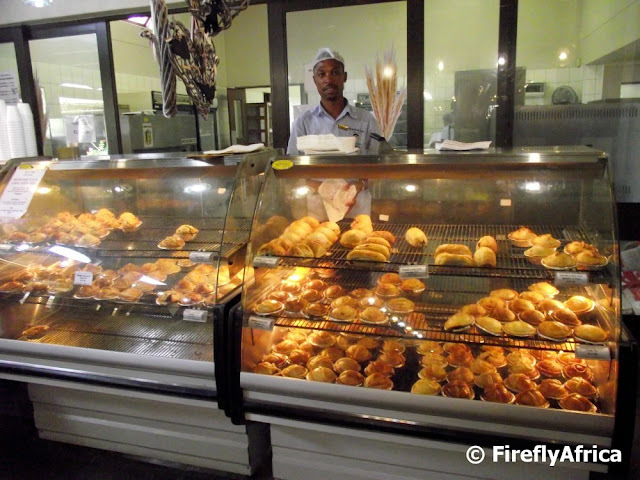 In actual fact a lot of people prefer to buy their roosterkoek over their famous pies. 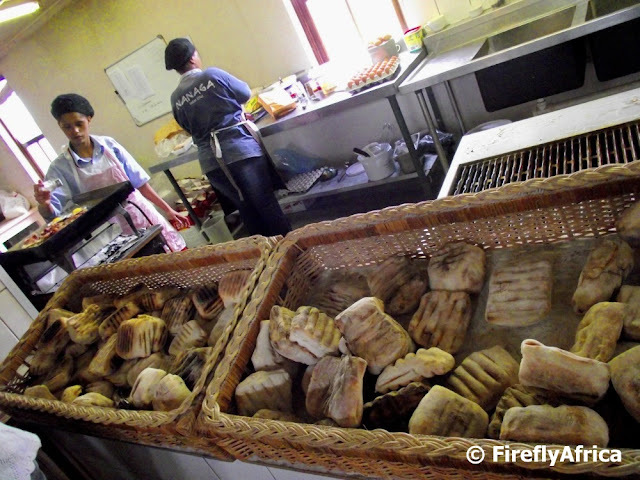 For those who doesn't know, roosterkoek is bread (buns) made on the grill over the coals. The only difference is that at Nanaga they make it on gas. The roosterkoek can be purchased as is, with butter, jam, cheese, jam & cheese or bacon & egg on it. After yesterday's first post about Nanaga Farm Stall you're probably wondering why all these people stop there. There are a couple of reasons but the main reason is their pies. Or let me say PIES. And not just any old pies. Proper pies. Not those "filled with sauce and barely any meat" pies. The pies are made on the premises from early morning and continuously right through the day. Cheese and Bacon pies, Savoury pies, Chicken pies, Steak pies, Pepper Steak pies, Sausage Rolls, Spinach and Feta pies, Venison Pies (my personal favorite), Wild Boar pies, Cornish pies, Lamb Curry pies, Lamb and Mint pies, Turkey and Cranberry pies and their new Moroccan Chicken pies. Need I say more? The other nice part about the pies is that you can also buy them frozen and in a family size. I wonder if anybody is heading out that way over the weekend who can bring me back a pie? 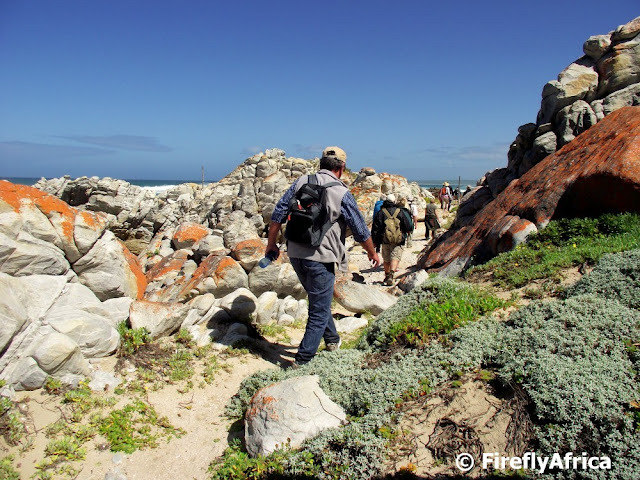 One would think that most people travelling to Port Elizabeth from the interior or down the coast would be in a hurry to get to their destination when they get to Nanaga, which is only 50 kilometers from the city. But a lot of them suddenly take a little detour and stop at the Nanaga Farm Stall which is where the road out of Port Elizabeth split either up north or towards the east. The Nanaga Farm Stall isn't just another farm stall, its one of THE best farm stalls in South Africa. Starting today I'm going to do a quick 4 part series featuring the Nanaga Farm stall. 43 years ago Lynn Lake started to sell cabbages from the boot of her car next to the N2. Lynn's husband George was a dairy farmer at Nanaga and soon Lynn came up with the idea of a more formal farm stall next to the road. George built her a little stall and it wasn't long before Lynn started selling fresh pineapple juice, pies and roosterkoek to passing travellers. The farm stall grew and in 1998 Lynn's daughter Leigh-Anne took over the running of it. 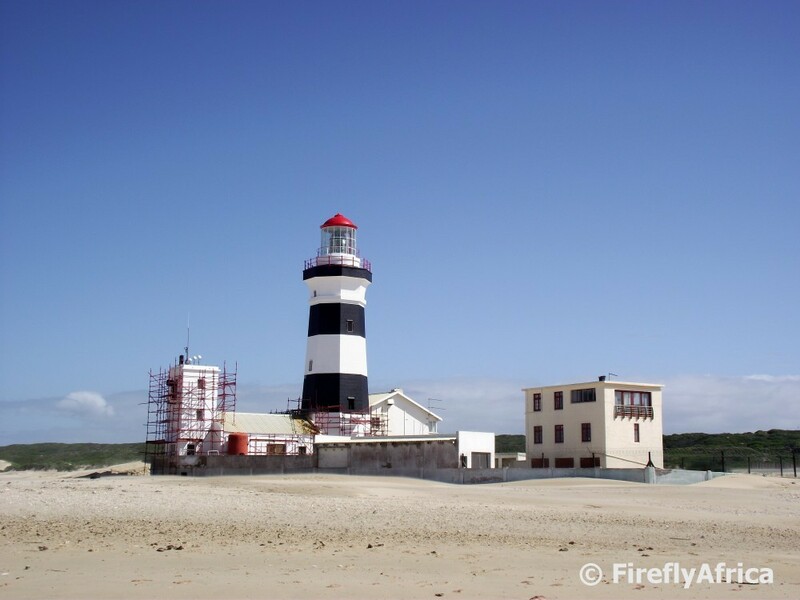 After the previous building got too small (and with some nudging by the National Roads Department who weren't too happy with the dangerous access off the N2) a new building was built in its present position a stone's throw away in 1998. 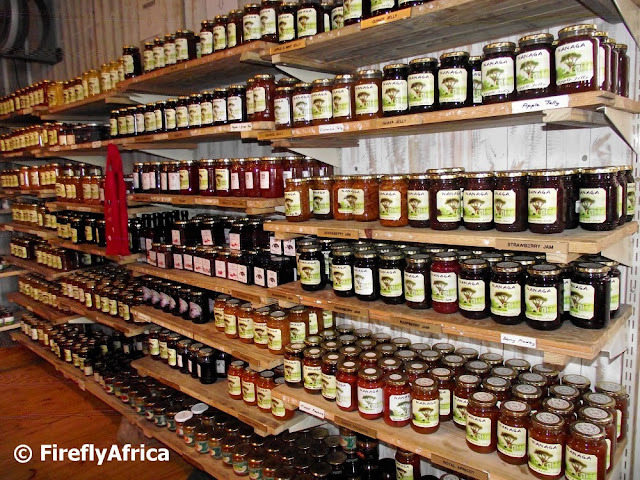 Their old customers still stop and have been joined by many new ones and the Nanaga Farm Stall has become what most other South African farm stalls can only endeavour to be. 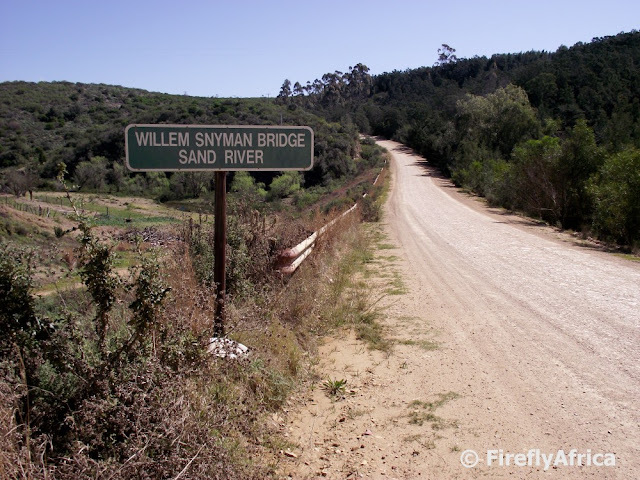 In yesterday's post I wrote about the Bulk River and Sand River that flows into the Elands River west of Port Elizabeth. The Sand River Dam is fairly close to the Elands River Road while the Bulk River Dam can just be glimpsed from the road. In the picture is the Bulk River with the dam barely visible higher up the valley. 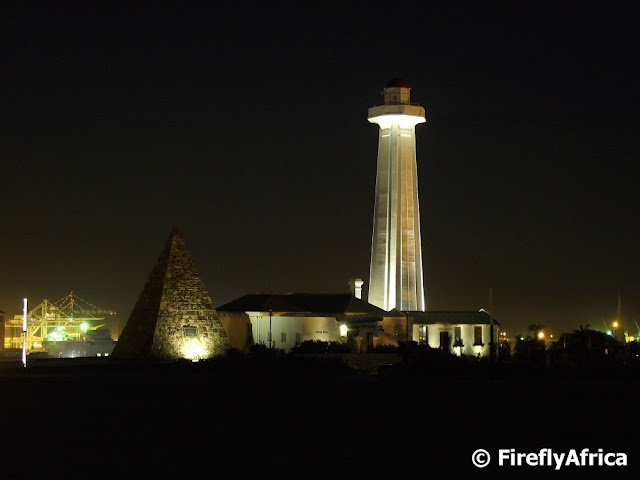 Port Elizabeth's earliest water supply came from the Shark River at Happy Valley and the Donkin Stream next to the Donkin Reserve. As the city started to grow in its early days of development the demand for water far exceeded this meager supply. 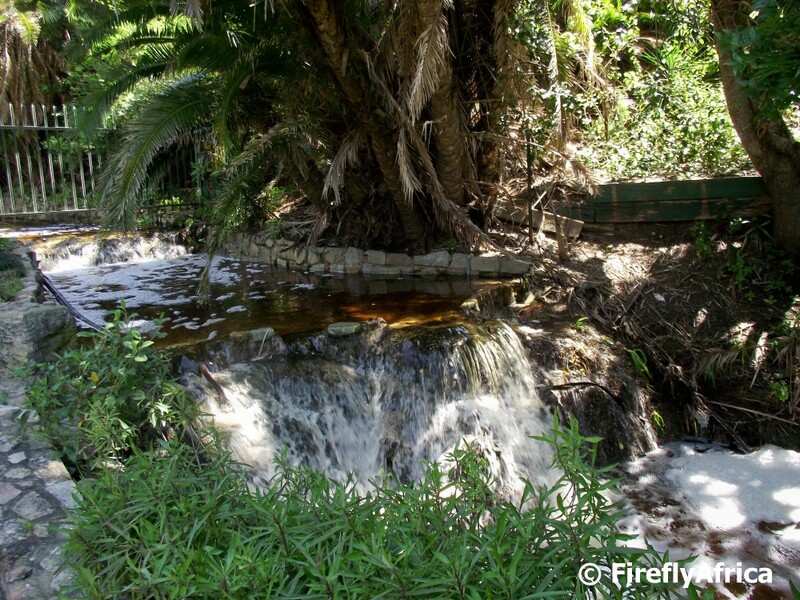 After a competition held by the Port Elizabeth city council in 1862 to find proposals to supply the city with water, a weir and small dam was built in the Van Stadens River. This was later followed by the Bulk River (1903) and the Sand River (1907) dams in the Elands River Valley, both which can be seen driving along the Elands River Road. 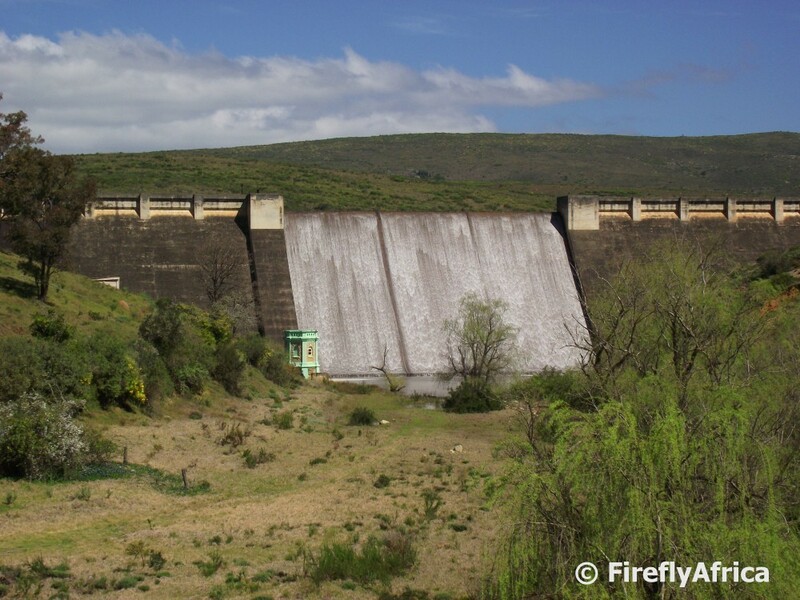 Of cause these dams have since been replaced as the main supply dams by the Kouga, Churchill and Mpofu dams. Both the Sand River and Bulk River are tributaries of the Elands River which in turn at its concourse with the Kwazunga River forms the Swartkops River. I know all of the is a mouth full but it's info I never knew until I started researching the Sand River Dam which can be seen overflowing in the picture. 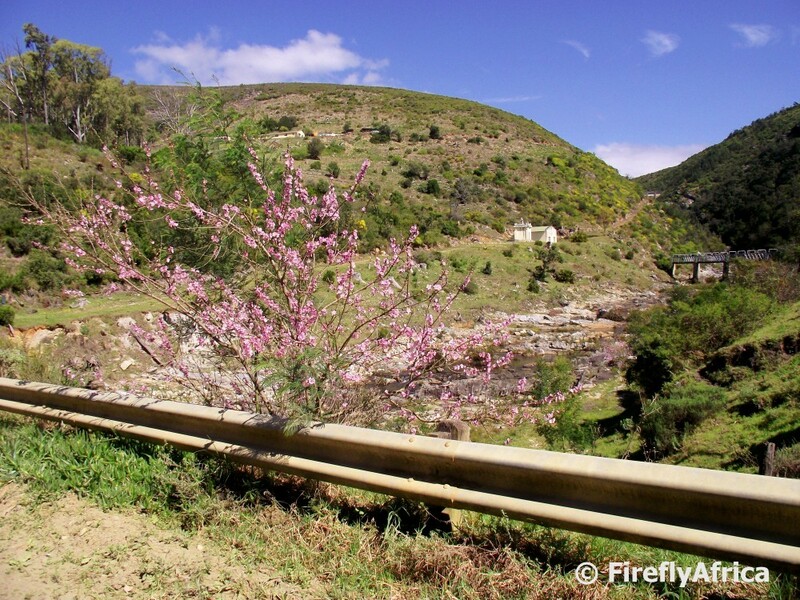 The Elands River Road links the Rocklands area with the Gamtoos Valley just outside Patensie. The majority of the road is a gravel road but the route it follows through the Elands River Valley is very beautiful and well worth making a day or weekend trip out of, staying over in either of the two areas. 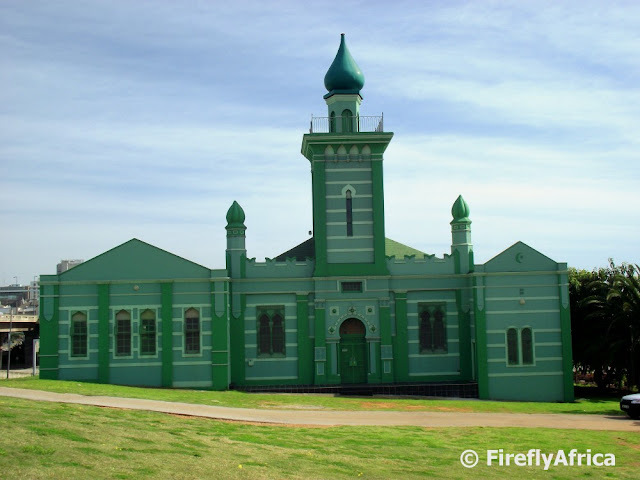 Residents of Port Elizabeth all know the green mosque next to the Settlers Freewat. The Masjied-Ul-Aziz, also known as as the Pier Street Mosque or Green Mosque, was officially opened in July 1901. 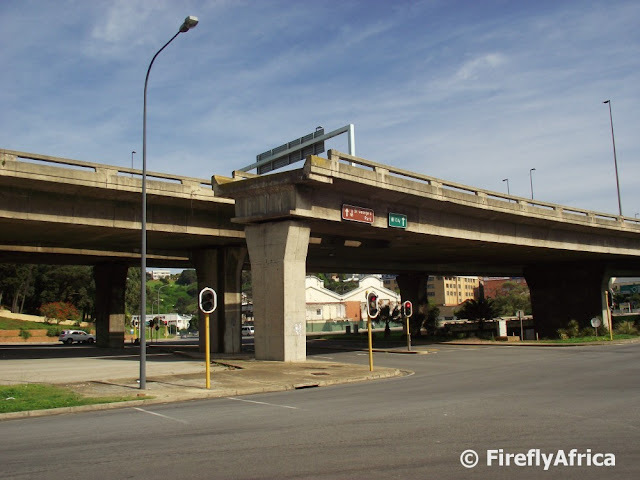 The mosque was destined to be destroyed by the declaration of the Group Areas Act to make way for a freeway off ramp, but the matter went to the United Nations where Islamic countries prevented its destruction. The mosque remains in daily use as a place of worship by the Muslim community. 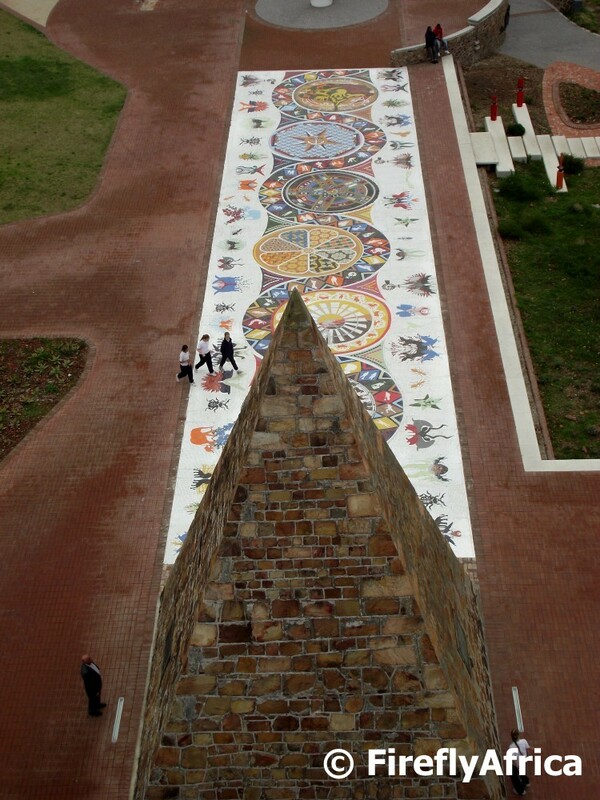 The 470 square meter mosaic next to the pyramid on the Donkin Reserve is one of the art pieces that has been installed in the area as part of the Route 67 development. The mosaic celebrates the many cultures, heritages, diverse histories and abundant fauna and flora that characterises the city and province. 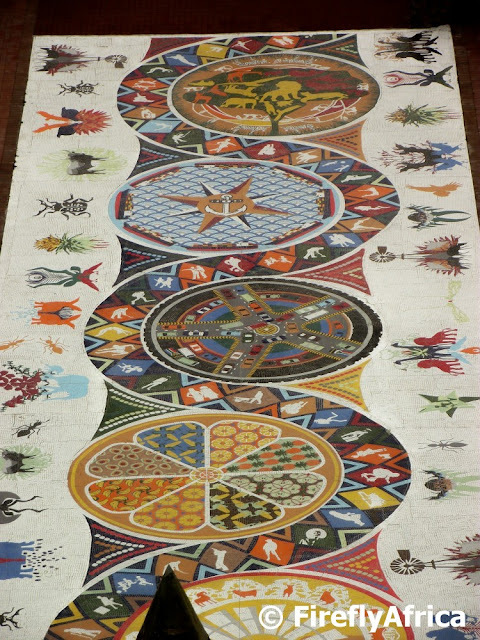 The mosaic was done by students from the Nelson Mandela Metropolitan University and is made up of a lot of different details. I have posted a similar photo as the first picture taken from the top of the lighthouse in the past and somebody commented that they wish they could see a bit more detail. Its a bit difficult showing detail without having to take a number of closeup pictures, so I have zoomed in to show you as much of the mosaic in one picture as I could. Township tours are very popular with international visitors to South Africa. 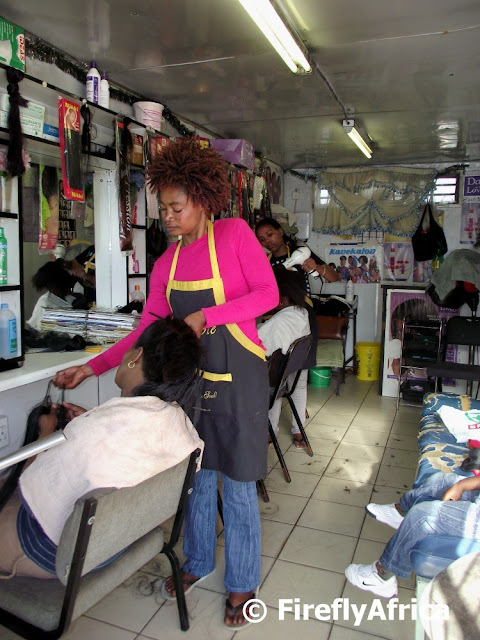 Often locals can't really understand why the tourists would like to go and see the townships. A few weeks ago we (we being me and my colleagues) took about 50 locals on a township tour with a difference and afterwards they couldn't stop talking about it. 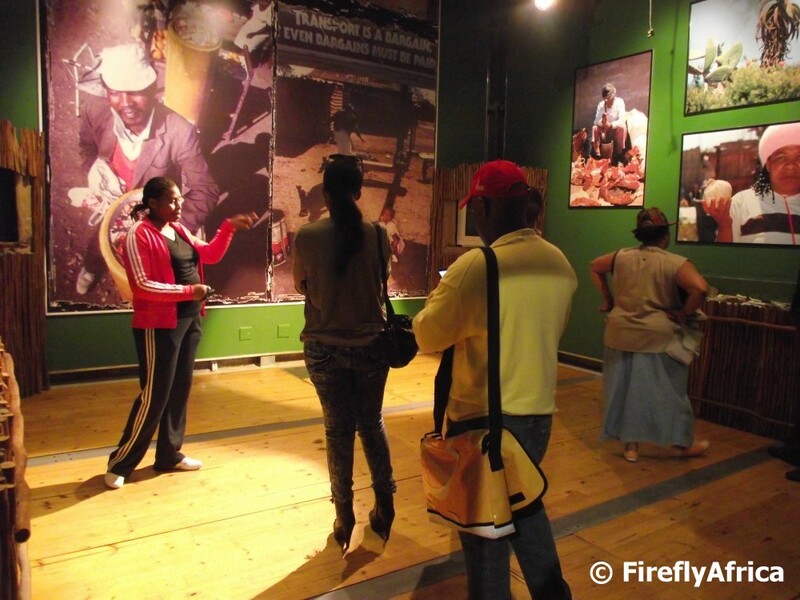 They got to meet and interact with the people, see the sights, hear the sounds, eat (some of) what the locals eat, visit the local market and take aways and has a traditional township tshisa njama (braai). Afterwards they all realised that its a whole different culture that begs to be shared and understood why tourists wanted to go there. 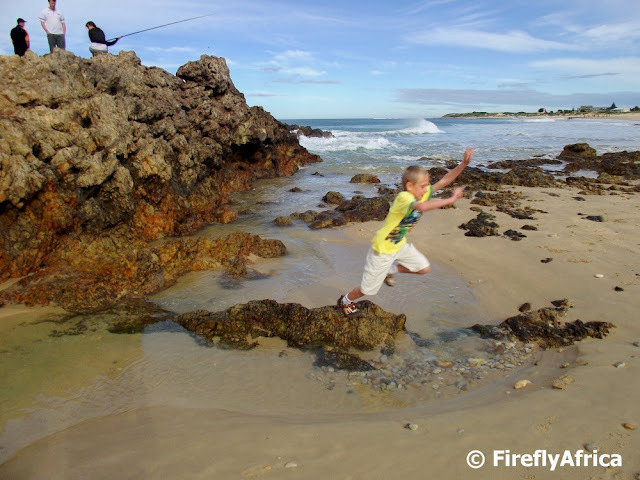 Chaos Boy leaping off the rocks in front of the Pollok Beach parking area. Its not quite swimming weather yet but hopefully in a month or so we'll be able to take the Kidz back there for a swim in the rock pool. The Pride went to Pollok Beach last weekend and I took a walk down to Pipe with Drama Princess to go and watch the surfers. 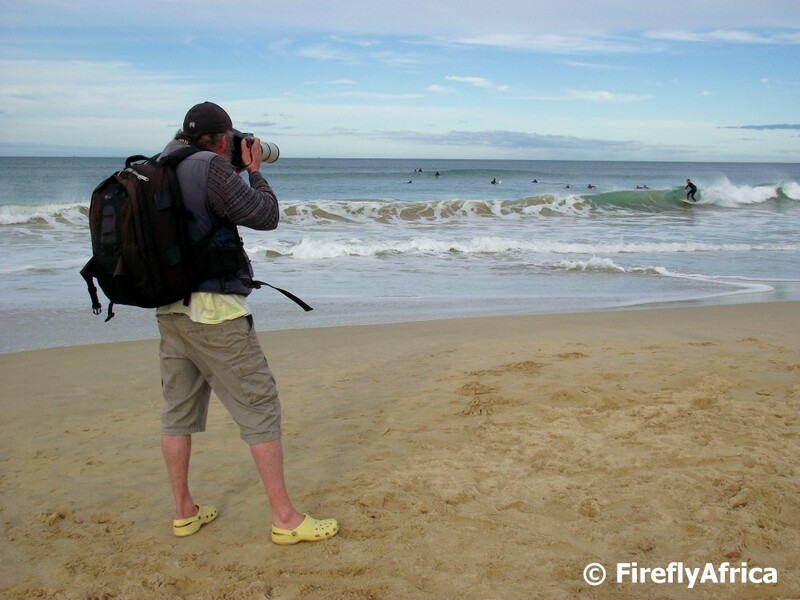 I can't say I was very surprised to find Luc Hosten, The Godfather of PE Photography (Friends of Schoenmakerskop), snapping away as the surfers rode the waves.